Maria Montessori was born in 1870 and died in 1952. She was an Italian physician, educator, philosopher and humanitarian. She was the Italian woman in to receive a medical degree. After becoming a doctor, she began working with “special needs” and “un-teachable” children from the poorest area in Rome. During this time, Dr. Montessori studied how children learn basic concepts relating to all facets of life. She decided to devote her life’s work to these “un-teachable” children to help them become productive and successful members of society. Dr. Montessori spent nearly a decade studying how children learn using their bodies, minds, and spirit. Dr. Montessori opened her first school; the “Casa de Bambini” or “Children’s House” in Rome on January 6, 1907. Dr. Maria Montessori believed that human beings have an innate internal drive for self-development. She believed, as we do, that the goal of childhood development should be to cultivate a child’s natural desire to learn and to aid the unfolding of lifelong learning. In a Montessori classroom, each child is encouraged to experience the excitement of learning by choosing his or her own activity. Once the activity is selected, it provides the perfect tool for the learning experience of the child. The Montessori materials are especially designed to develop this process through self-correction. Dr. Montessori observed that children go through four six-year periods of development, entitled the four planes of development. In each plane of development, children have specific characteristics and needs. Dr. Montessori believed that each child requires a trained adult to assist him/her in a specific way, who works in a structured learning environment, rich with materials for learning. Dr. Montessori’s philosophies and teachings are still considered ahead of her time almost one hundred years after they were initially created. Dr. Montessori holds a very interesting place in world history; one little known fact is that Montessori’s love of her students forced her to be exiled from Italy by Benito Mussolini because she refused to offer her students up to become soldiers in the Spanish Civil War. Today, the Montessori method of teaching is still renowned as one of the most innovative and intelligent teaching methods available for young children. The Montessori method is recognized throughout the world and transcends across many different cultures. Because of Dr. Montessori’s immeasurable contributions to the field of education, she was nominated for the Nobel Peace Prize three different times. The Montessori method awakens the child's spirit and imagination, encourages a desire for independence and joyful learning, develops kindness and self-discipline, teaches quiet observation and ability to question and explore ideas independently. Outcomes of the Montessori method include academic preparation and competence, intrinsic motivation, internalized ground rules, ability to work with external authority, social responsibility, self-autonomy and confidence and lastly creative and original thought. Dr. Montessori believed that each child is born with a unique potential to be revealed through time, rather than as a "blank slate" waiting to be written upon. 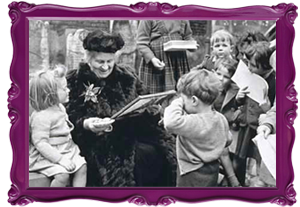 Dr. Montessori focused on teaching children at their own individual pace so that they may be wealthy knowledge collectors. Dr. Montessori believed children to be a lover of work. This sense of accomplishment is very important for their well-being, self confidence, and cognitive development. The Montessori method works in a methodical sequential way, each process and step is more complicated than the next. The child moves on to more difficult subject matter when he is ready to, instead of moving as a class unit at the same rate, when a child may not be ready to learn more complex ideas. The Montessori method promotes global diversity, cultural appreciation and fosters an atmosphere of mutual respect especially within the school's own student body.